One of Sydney’s best features is its beautiful coastal location and huge choice of beaches. But, unfortunately, if you want to share a beach walk with your furry friend, there aren’t many options. The best part about house sitting in Sydney is the chance to explore new areas and discover new things. 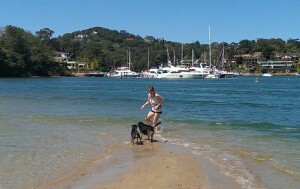 My favourite discovery is Rowland Reserve, right next to Bayview Park, not far from Avalon Beach. Okay, it’s not a local beach, especially for those in the Eastern Suburbs, but this place is worth the trip. It’s basically Crufts on the beach. In summer you can jump in the water with your pooch and savour the beautiful location whilst watching your best friend frolic with anything from St Bernard’s to Pugs. To get to the best dog beach in Sydney you need to turn off the Pittwater Road (A8) towards the Bayview Boat Ramp. Drive 300m into the park and look for a parking bay on the outside edge of the car park, where you can park for free for one hour. There are 100 bays in Rowland Reserve but at the weekend in summer you’ll struggle to find a free spot. Pay and display parking costs $3.40 per hour or $20 for a full day. Fees apply from 6am to 9pm everyday including public holidays. You can pay with coins or credit card. There are benches, picnic tables, water fountains and bins and in summer there is usually a coffee van and mobile dog groomer, so you don’t even have to worry about getting sand in your car. If you are going to explore Rowland Reserve be mindful that if you wander into Bayview Park it does not permit unleashed dogs. 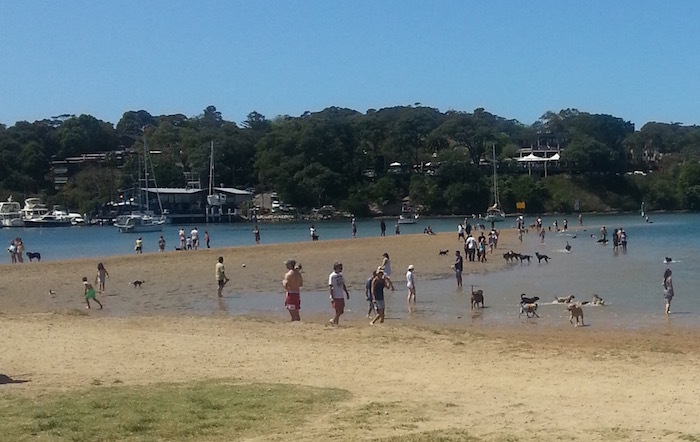 Once you’ve tired your pooch out, take the 20 min drive to Palm Beach and have lunch at the Barrenjoey House or the Boat House, both of which are dog friendly if you sit outside.